It was earlier this summer that my friend, Brad, introduced me to Jon McLaughlin. Well, not to Jon himself, but to his music. It was an easy sell. I was immediately hooked. 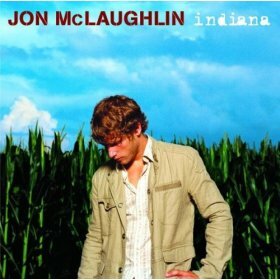 I've loved listening to the MP3s I had but now I am the proud owner of his CD entitled Indiana. If you like Ben Folds and John Mayer, then I'd recommend you try Jon McLaughin's work. All of the songs from his Indiana CD are available DRM-free from Amazon.